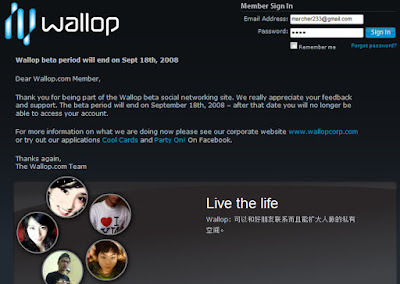 Thank you for being part of the Wallop beta social networking site. We really appreciate your feedback and support. The beta period will end on September 18th, 2008 – after that date you will no longer be able to access your account.